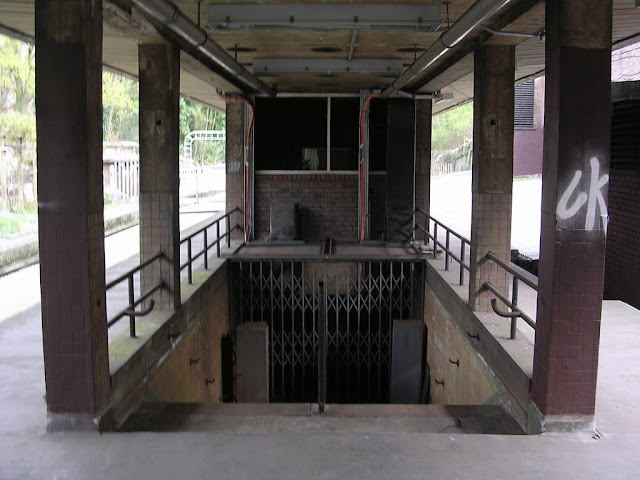 Highgate tube station is a London Underground station on Archway Road, Highgate, not far from Highgate Village in north London. 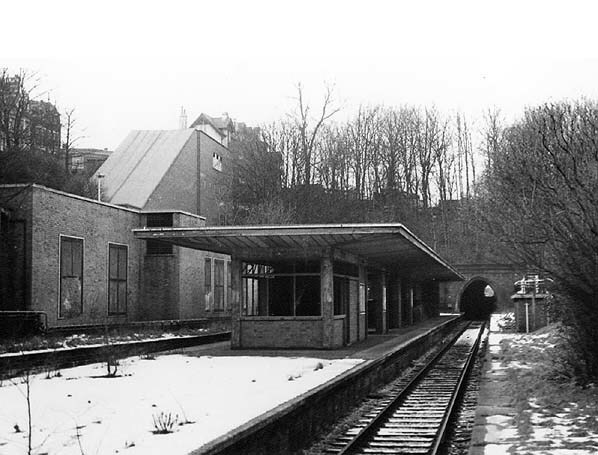 The present low-level station was built in the late 1930s as part of London Underground's Northern Heights plan. 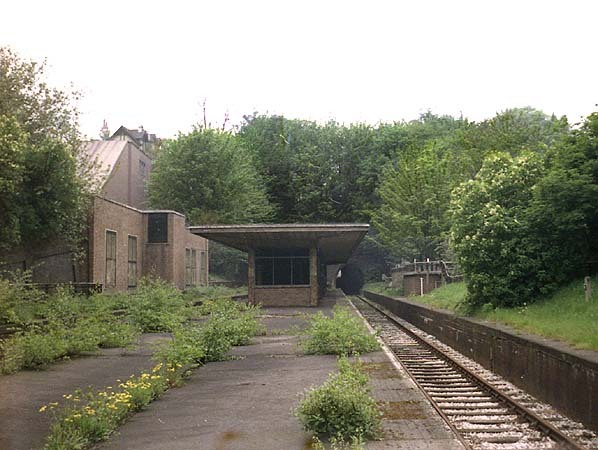 It is just part of the planned station but the advent of the Second World War postponed parts of the project and eventually led to its cancellation. 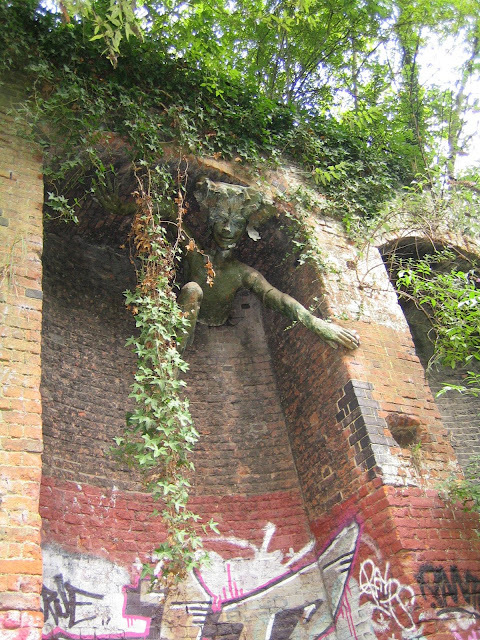 The low-level station was built directly below the existing high-level London & North Eastern Railway (LNER) station. 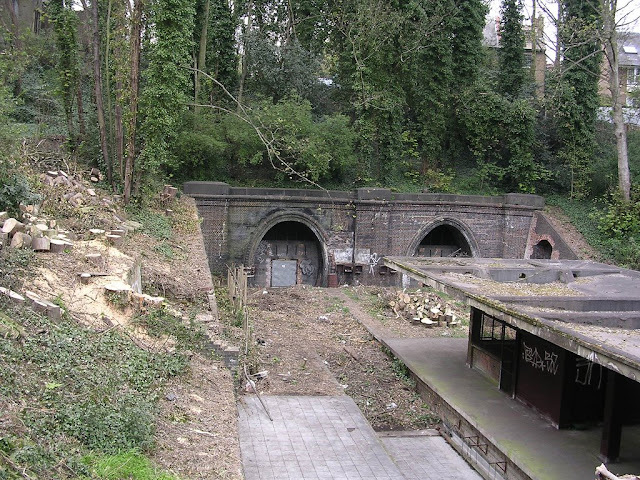 Because of the hilly terrain, the station was built in a deep cutting excavated from Highgate Hill adjacent to Archway Road. 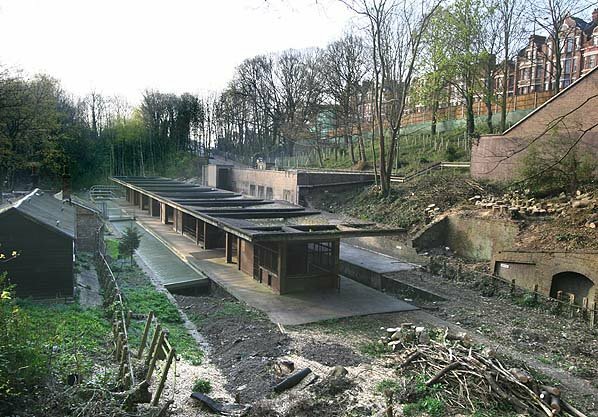 Tunnels penetrated the hillside at each end of the station, leading to East Finchley to the north and Crouch End to the south.